Stock indexes are falling after the Trump administration released a list of $200 billion in goods that could be hit with tariffs and China said it would retaliate. Energy and industrial companies and basic materials makers are taking some of the worst losses Wednesday. Chevron fell 2.7 percent and Boeing lost 1.8 percent. Chipmaker Micron, which relies on China for half of its sales, sank 3 percent. The declines follow a four-day winning streak for U.S. stocks. The S&P 500 fell 16 points, or 0.6 percent, to 2,777. The Dow Jones Industrial Average lost 178 points, or 0.7 percent, to 24,740. The Nasdaq composite gave up 40 points, or 0.5 percent, to 7,717. Stocks are opening lower on Wall Street, following declines in Europe and Asia, after Washington threatened to expand tariffs on Beijing and China said it would retaliate. Technology and industrial stocks, which would have much to lose if the U.S.-China trade dispute continues to escalate, fell more than the rest of the market. Chipmaker Micron, which relies on China for half of its sales, sank 2.2 percent. Boeing fell 1.1 percent. The S&P 500 fell 12 points, or 0.4 percent, to 2,781. 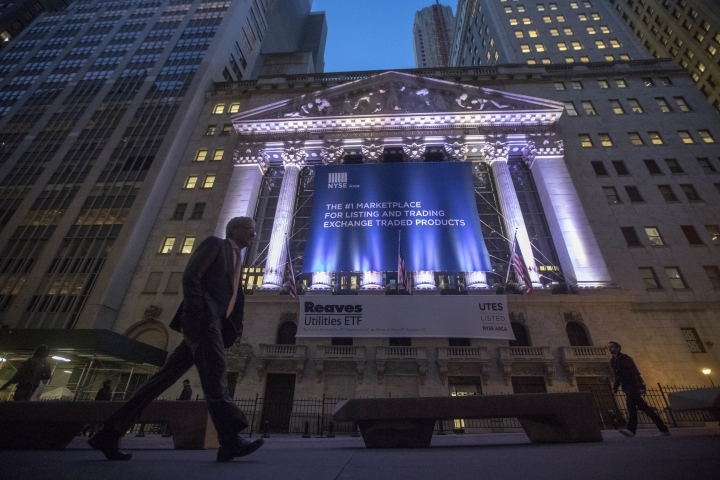 The Dow Jones Industrial Average lost 138 points, or 0.6 percent, to 24,781. The Nasdaq composite gave up 32 points, or 0.4 percent, to 7,726.